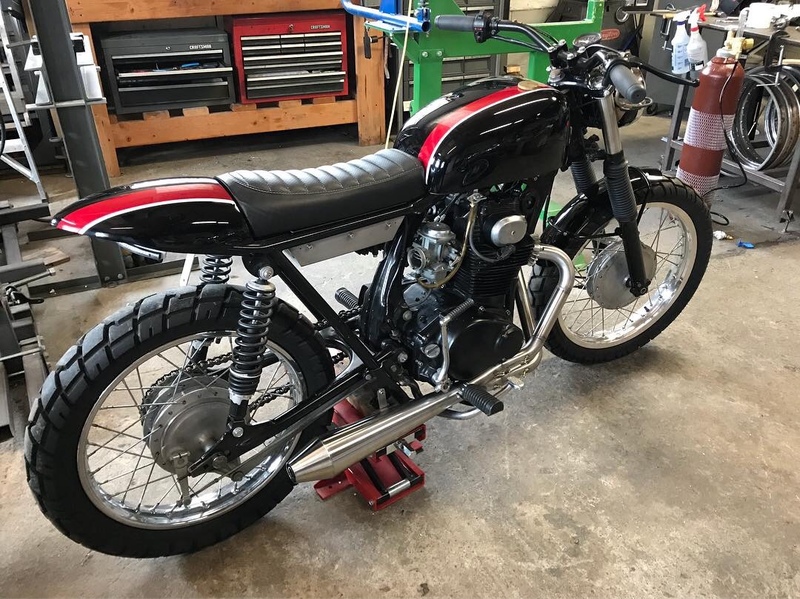 This cb350 I built a few years ago is back in my shop and up for sale. Unfortunately, the customer I built it for has some medical issues going on, including seizures, so riding is not the best idea for him anymore. He reached out to me to help sell the bike, and we shipped it back to my shop so I could go over it and show it for him. I've been a member here for a while, and I know that in general we are all builders, not buyers. But, this is a great bike for an enthusiast. Ride it as-is, but it still has a room to be upgraded to your taste. If it were up to me, I'd add some mikunis, lighter wheels, and better rear shocks. It has been ridden and enjoyed, as it should, by the PO so there are some scratches here and there. The owner lives in cape cod right next to the beach, so there is some surface rust on a few spokes and little components like the chrome on the throttle cable. Overall the bike still looks great, and everything will polish up like new. 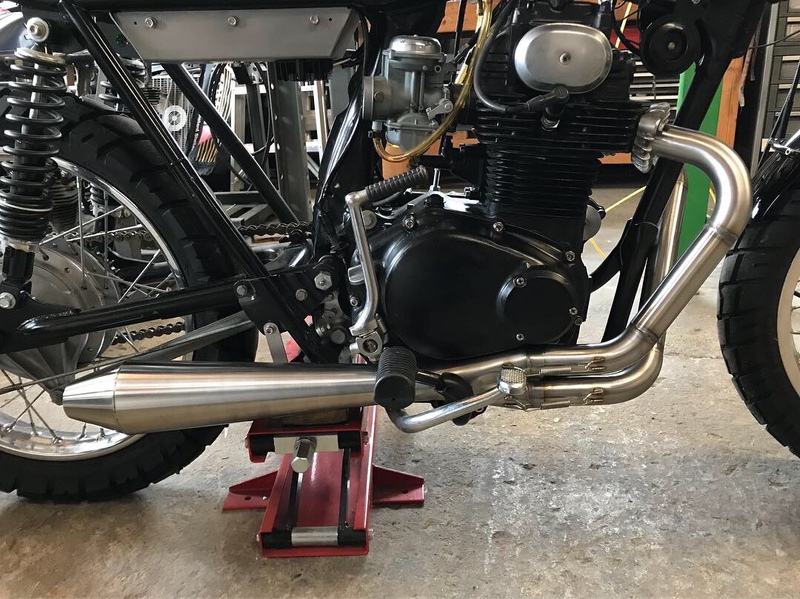 -Modified subframe to increase suspension travel. -New electronics, Lithum battery, starter delete. -No bolt was left untouched, any original part was refinished. We are asking $5,500 OBO for the bike as-is. We're trying to price it fairly, and that is about the cost of a decent 350 donor and the parts alone. If you scroll through the build thread you can get a sense of the hours into this build. I can also help arrange shipping. I'll attach some finished photos here, you can also see more at my website www.CatskillMtnCustoms.com. Feel free to reach out to me with any questions on here or email CatskillMtnCustoms@gmail.com. Thanks! More than fair asking price. Someone is taking a loss. Thanks, no one is making a profit here. The owner is a great guy, and just wants someone to enjoy it. a quick bump for Nick and his incredible work. He has helped me with my own projects and I can say with certainty that his work is top notch! Someone is getting a great deal with this bike! Agree! I follow Nick on Instagram for metalworking inspiration. He's a Craftsman, and that bike is a steal. Thanks for all the support! I ended up making a deal with the owner, and I bought the bike back. It’s still for sale, but I don’t mind having it around haha. I actually just used it to mock up an exhaust I shipped out to Hawaii, so at least it’s earning some income while it sits.